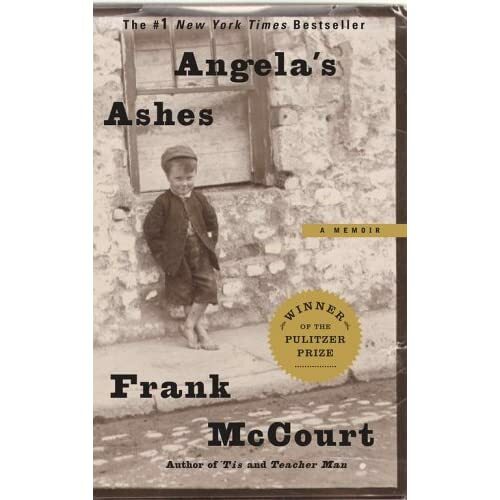 I have just finished reading this heartbreaking memoir of Frank McCourt’s childhood. It’s an incredibly sad tale of growing up in dire poverty. I felt sorrow for the child who, through no fault of his own, was born into that family, anger at the people who could have helped but didn’t, and… envy, but only twice. The memoir recalls two instances when Frank was bullied – one for having an American accent and one for coming to school in shoes held together with bits of rubber tyres. In both instances, the teacher intervened and stopped the bullying. I don’t remember a teacher ever intervening on my behalf. I absolutely love this memoir. And what I really liked about it is that McCourt rose above his environment to become a teacher, a writer, and an overall wonderful person. I was so sad when he died. Some writers can say a lot in 200 words, others will have only just begun after 200 words. Perhaps that’s the difference between short story writers and novelists, or the difference between flash and longer short story writers. I think the trick is to say just enough for the reader to understand, but let the reader work it out. In this case, you don’t have to write a whole story. I left that open. I loved this book, and its two sequels. I love the idiosyncracies of English spoken by Limerick people. Also the humour in it – the story of the first communion was hilarious. I got very angry with the parents, as they always found money for fags and booze while the children were going hungry. The treatment of Frank’s family by the charitable committee was positively Dickensian. A very sad but ultimately life-affirming story.